Until recent years, the concept of “screen time” wasn’t much of a concern for parents. It’s true that parents needed to monitor how much TV their children watched in a day but in general, screens and digital media were not readily available or easily accessible to children as they are today in 2018. 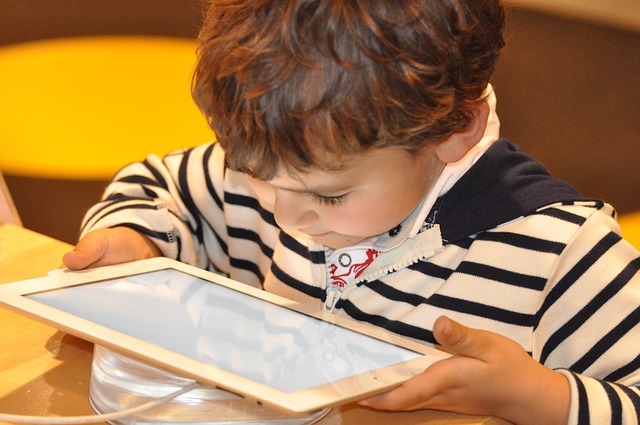 It’s true that there are some advantages to toddlers using tablets and smartphones as these devices do offer educational opportunities and are becoming more and more essential in our daily lives, however, there is such a thing as too much screen time for toddlers. Avoiding constant screen time for toddlers and small children doesn’t have to be difficult. You just need to be a little creative and diligent in monitoring how much time your children spend on electronic devices. Enforce a rule in your home where no one is allowed to use electronic devices or watch digital media at the dinner table or during meals. Use these times as opportunities to communicate and converse with small children and encourage social interaction among your entire family. Don’t use screen time as a method of distracting your child or curbing poor behavior. Doing this will only encourage poor behavior and eliminate opportunities to engage with your child in public or other times of the day. Read to your child every day during times typically associated with digital media. This will improve their imagination and help you teach your preschooler to read too. Schedule activities outdoors and leave all your smartphone and other mobile digital devices indoors. Without digital media to distract your toddler, he or she is more likely to run around and benefit from some exercise outside. Determine an appropriate amount of screen time for your toddler each day and enforce the time limit. *We recommend screen time occur after school, homework and some amount of physical activity or play. It’s important to understand there is no perfect answer on how much screen time is too much for a toddler and you will have to decide the best way to limit screen time for your children. It is possible that better information will become available from doctors and educators concerning the impact of screen time on early childhood development but for now it is best for parents to use their own discretion. Cornerstone Academy offers engaging play and learning opportunities to all children in our care in either our Kenosha preschool or daycare program.